It’s time to think about what April has to bring us. I really hope you can join us for some of the events or simply drop in for a chat at one of our coffee mornings. It would be lovely to see you. Come for a coffee and a chat any time between 10.30 and 12 noon. Renew your English books ready for some serious summer reading. 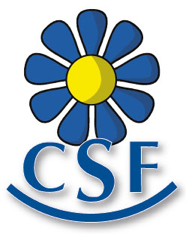 Proceeds will be shared between CSF Sud and La Ligue Contre le Cancer. Contact Maggie Longworth on maggie.longworth@gmail.com, Penny Parkinson on pennycsf66@gmail.com or Gill Harrison on gillharrison66@gmail.com to book your ticket. Our annual CSF Open Meeting is at the restaurant Les Delices de L’USAP. As well as giving an overall CSF update we will be talking about a very important subject – the rights of Brits living in France. Please do join us if you can. Coffee & biscuits at 10.15. The meeting starts at 10.30 and will be followed by lunch. There is an excellent Formule around 14€. Please let Penny (pennycsf66@gmail.com) know if you would like to attend the meeting and if you would like lunch. Seed and Plant Exchange at Lizzie’s Kitchen, Route de Prades, Ille-sur-Têt, 10 – 12 noon. There’s still time to get your garden prepared for summer. Café des Artistes in Laroque is the venue for us to have our usual Book Exchange. If you’ve got family or friends visiting, please bring them along. Sit outside in the sun (hopefully!) buy a drink and take a book or two. At Home at Caixas. A chance for our members to get together and enjoy the informal setting of Penny’s garden. More details will follow nearer the time but put it in your diaries now please!